Is this the worlds weirdest hairstyle? 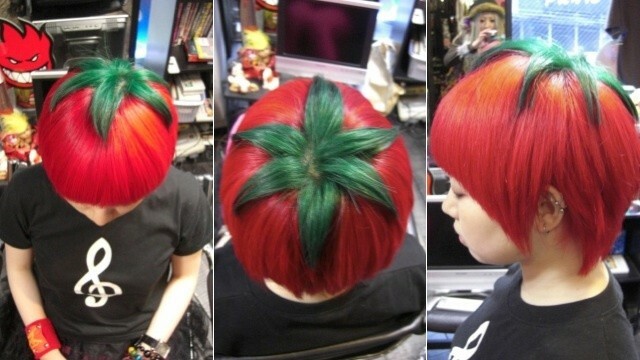 This amazing haircut is called the “ripe tomato” and was designed by Japanese hairstylist Hiro. Hiro, who works at the Trick Salon in Osaka, dyed all the hair red before creating the tomato’s stem by dividing the hair on the crown of the model’s head into six and colouring it green.